Across Oklahoma, living history exhibits and battle re-enactments bring lessons of the past to new generations. 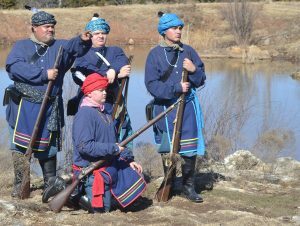 Oklahoma’s living history interpreters know much about Civil War battles in what was then Indian Territory. They especially want to honor the sacrifices of the men who slept in canvas tents. 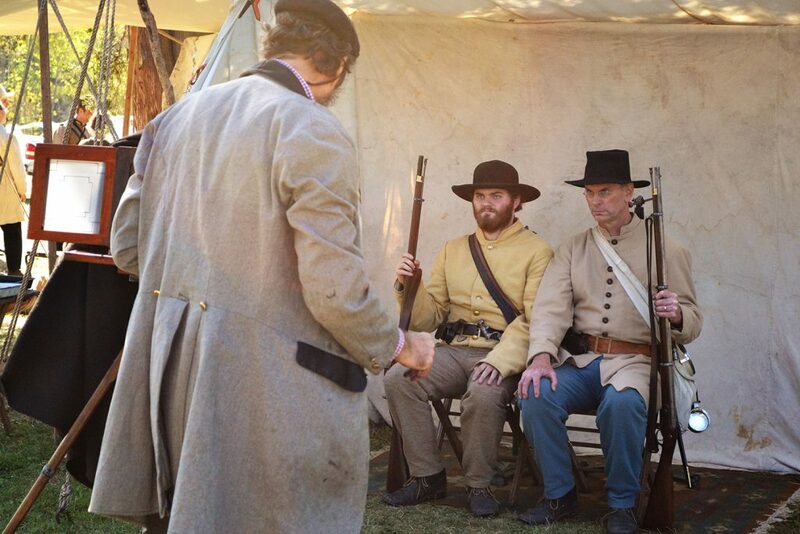 Re-enactors portray engagements on designated weekends at the Honey Springs Battlefield in Checotah, near Yale for the Battle of Round Mountain and outside Durant for the Battle of Middle Boggy. The gatherings usually begin with a student day on Friday. The public may come the other days to walk through the camps, talk to living history interpreters and shop at vendor booths. 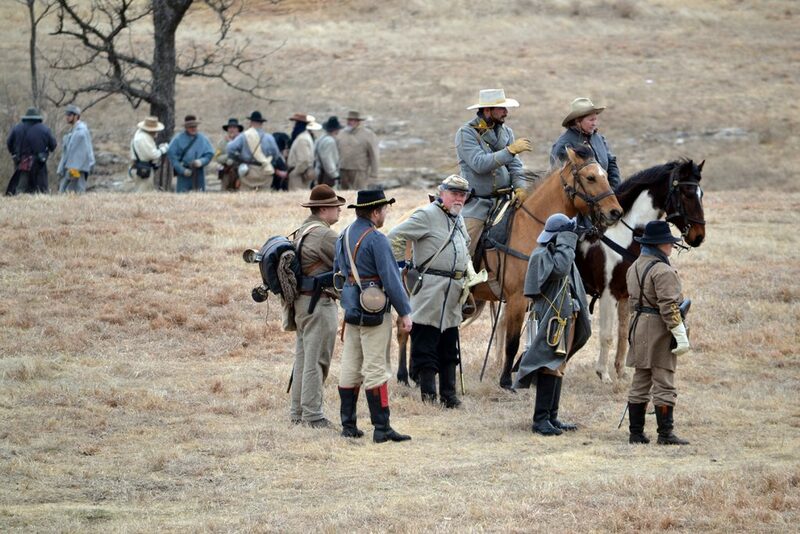 Thousands travel annually 4 miles west of Yale to the Round Mountain re-enactment, Feb. 16-17 this year, says Mike Cavenah, vice president of the Round Mountain Trust. The Grand Ball that Saturday night features dance lessons, period music and refreshments that would have been served in the 1860s. 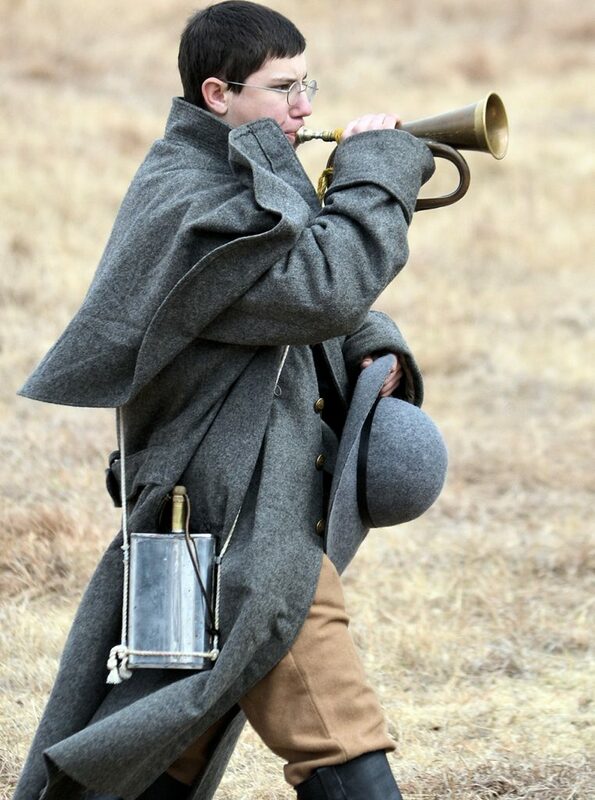 Students of the war often say their interest began when they were young. 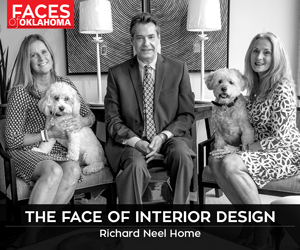 Erick McBroom, an antiques dealer from Oklahoma City, recalls the day he got hooked. Mike Sheriff, a retired electrical engineer from Norman, loves to go to classrooms on behalf of the Oklahoma Historical Society and explain uniforms and gear. 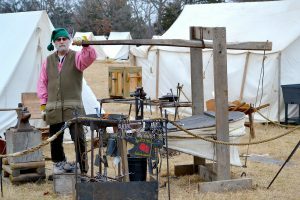 “Before I tell them how to load the musket, I have them do fitness exams,” says Sheriff, explaining that a soldier needed to have at least one upper and one lower tooth on the same side of his mouth for tearing off the end of the paper cartridge holding a lead ball and gunpowder. 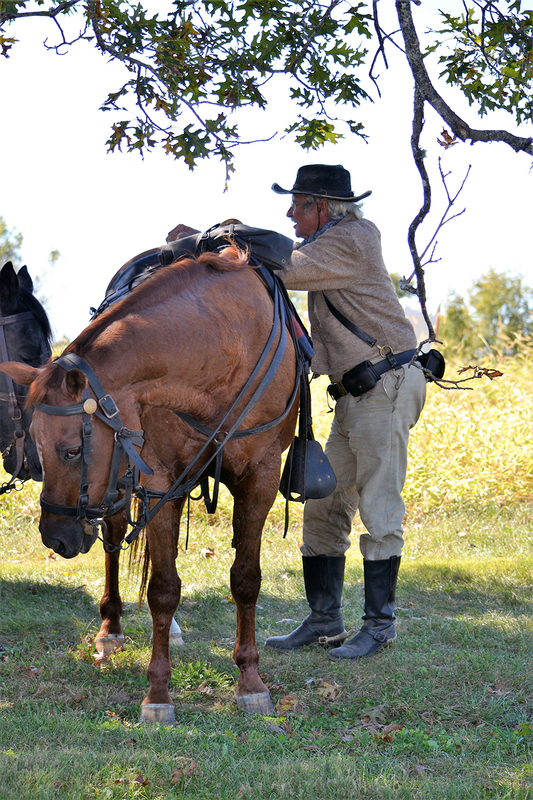 Lynn Shackelford, of Choctaw, owns several muskets carried in the Civil War – the realization of a childhood dream. 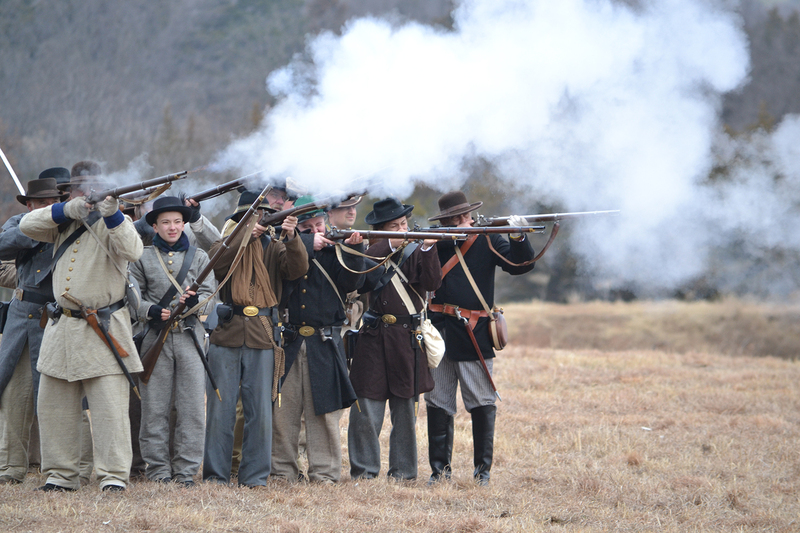 Shackelford bought a reproduction musket from a co-worker at Tinker Air Force Base and joined a re-enactment group. His wife taught him how to use her sewing machine; he soon began stitching up Union and Confederate uniforms and flags for his color guard, which took first place seven times in Edmond’s Libertyfest Parade. 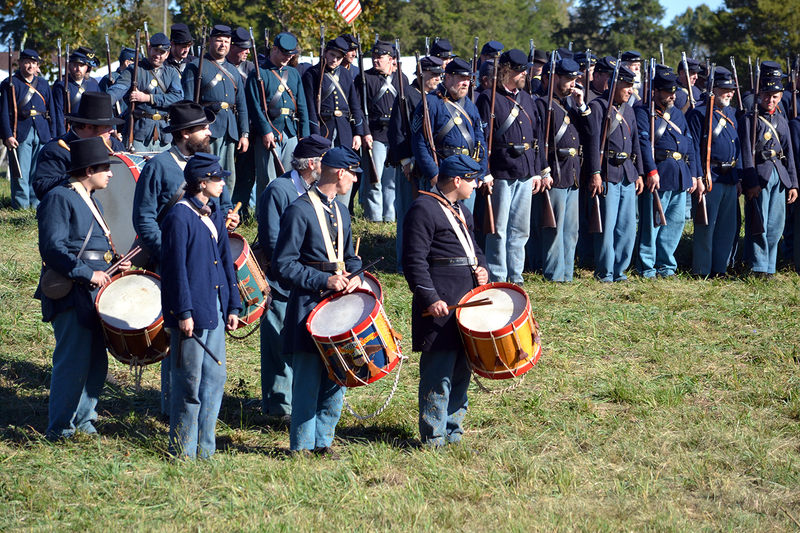 Adam Lynn, director of the Honey Springs Battlefield and Visitor Center, says this year’s re-enactment is the first weekend in November. 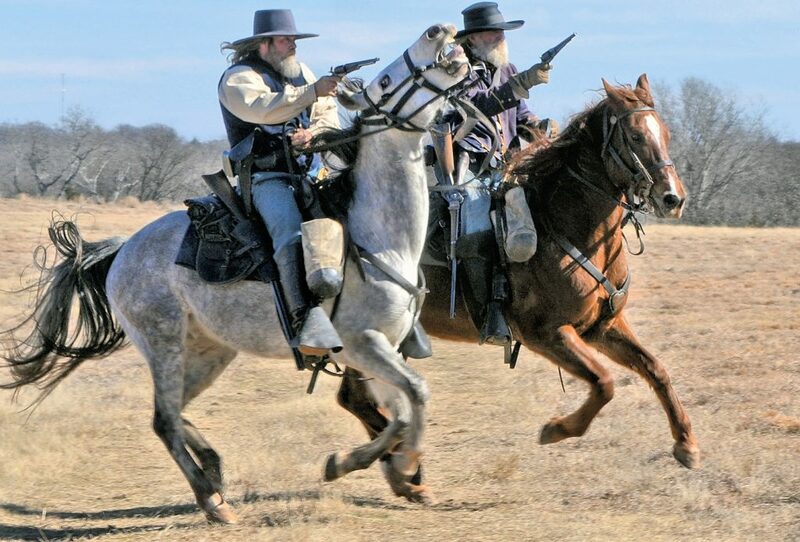 Of the 107 documented Civil War conflicts in Oklahoma, Honey Springs was the largest, with 6,000 fighting for the Confederacy and 3,000 for the Union on July 17, 1863. 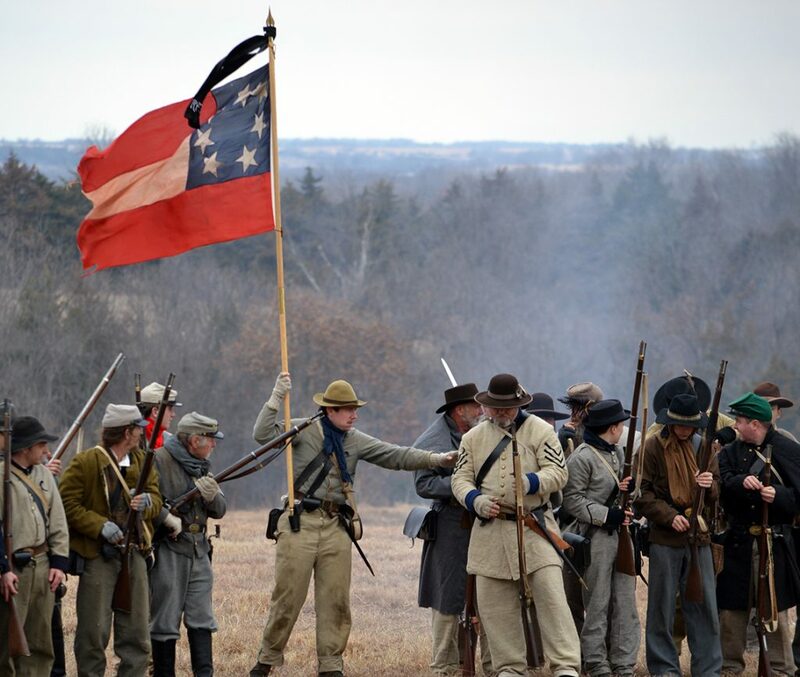 Among those at Honey Springs were Native Americans fighting for the Confederacy and the Union’s Indian Home Guards and the 1st Kansas Colored Regiment. 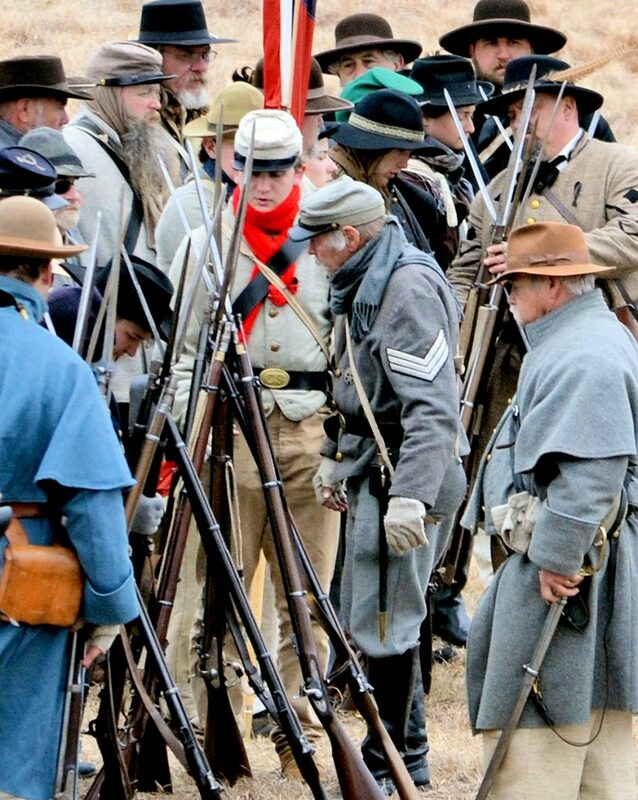 Lynn says the permanent exhibit at the new visitor center will open this year and showcase artifacts found on the battlefield, including cannon balls, guns and belt buckles. 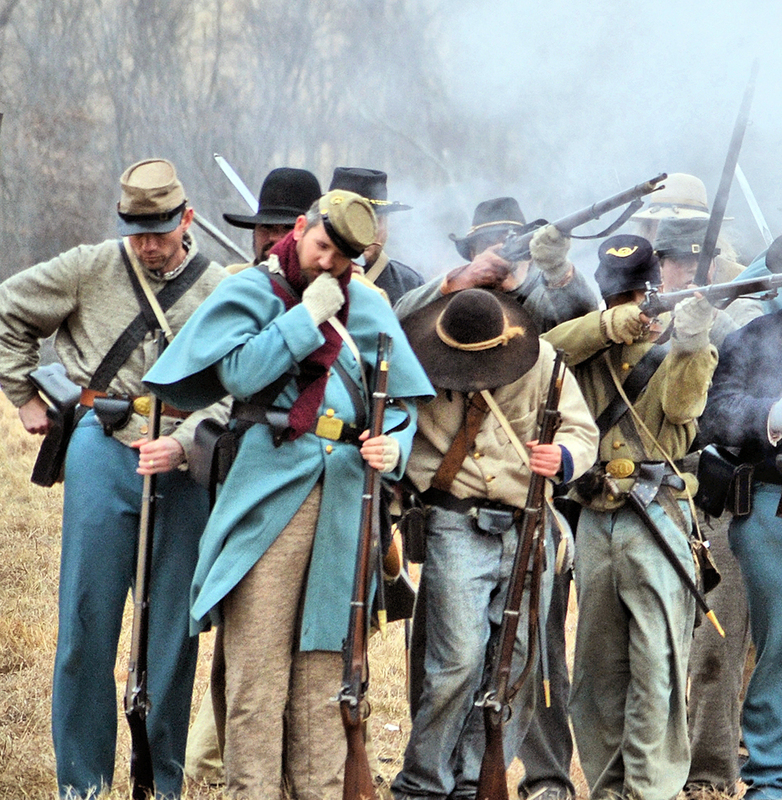 Middle Boggy re-enactments are biennial at Fort Washita, with the next one planned for 2020, says site manager Jim Argo, adding that re-enactment groups have proposed a muster this year, but no date is set. 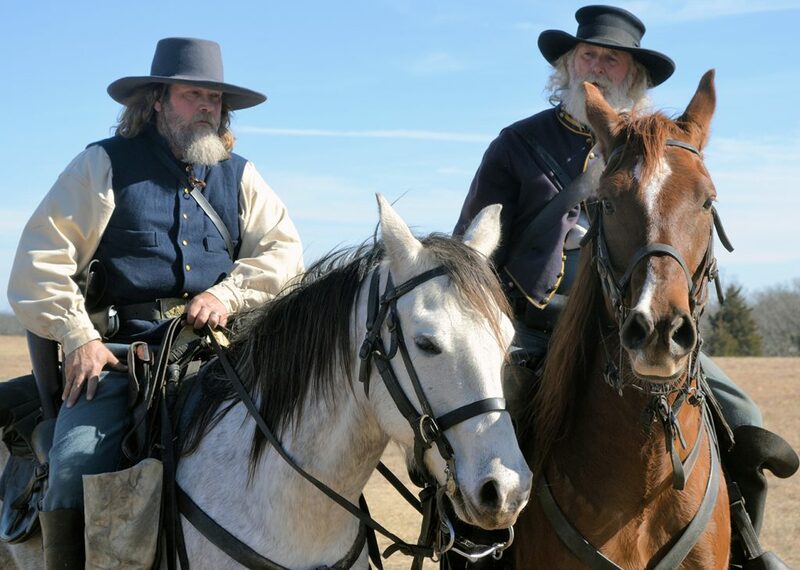 Jay Hannah – a Bancfirst executive vice president, leader in the Cherokee Nation, descendent of Watie and lifelong student of the Civil War – says his tribe’s involvement in the conflict was complicated. The Trail of Tears, which began in 1830, was followed by a Cherokee civil war over the treaty that brought the tribe to Oklahoma, says Hannah, whose second-great-uncle, Cherokee leader James Starr, was assassinated. 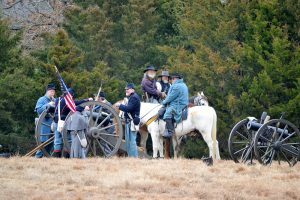 Hannah’s maternal relatives are from Arkansas, and ancestors on both sides fought at the Battle of Pea Ridge, northeast of Fayetteville. “In high school I could make great grades on papers mostly by interviewing my own relatives,” he says.